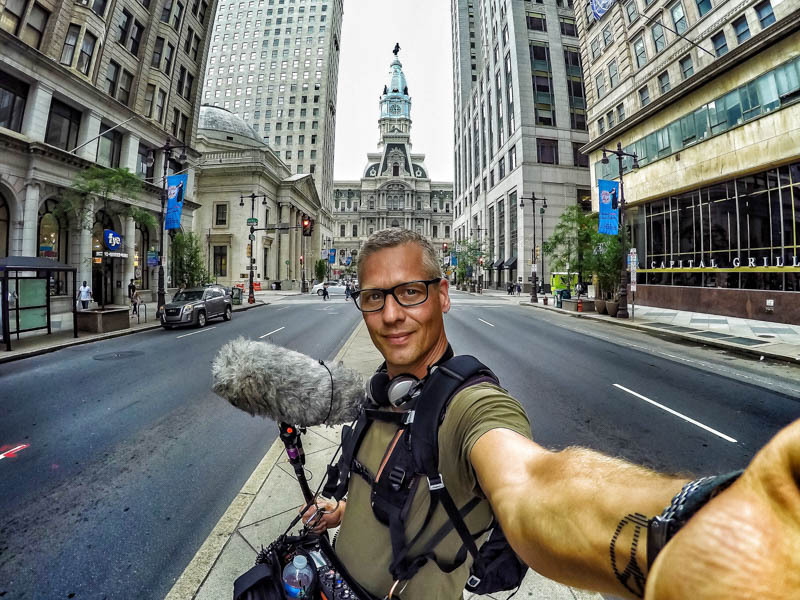 Today, we welcome Thomas Gulyás to the Rycote On Location series. He chats about his fascinating and exciting career in professional sound, from childhood to present day. Tell us a little bit about yourself. Where are you based, and what you do? I’m just an ordinary sound engineer: a ‘sound guy’! I’m based in Copenhagen. Originally, I’m from the southern part of Denmark, near Germany. I grew up there and then moved to Copenhagen in ‘89, and at that stage I was totally clear about what I wanted to do. I was 21 at the time, and I wanted to do sound for television. At that young age, were there any significant factors or anything that happened when you were growing up that made you feel that way? Can you pin it down to anything? I started building my own speakers when I was 12-13 years old, and was really interested in music and sound. My plan was to be a radio technician in a TV repair shop, and then I switched. In ninth grade, we have this week where you can visit a company. You can learn all kinds of things: what it’s like to work there, the job market, and so on. I went to a musical instrument shop and they offered me an apprenticeship after school. I learnt about business and how to be a salesman for musical instruments and professional audio equipment. When I was 19, we did some commercials. 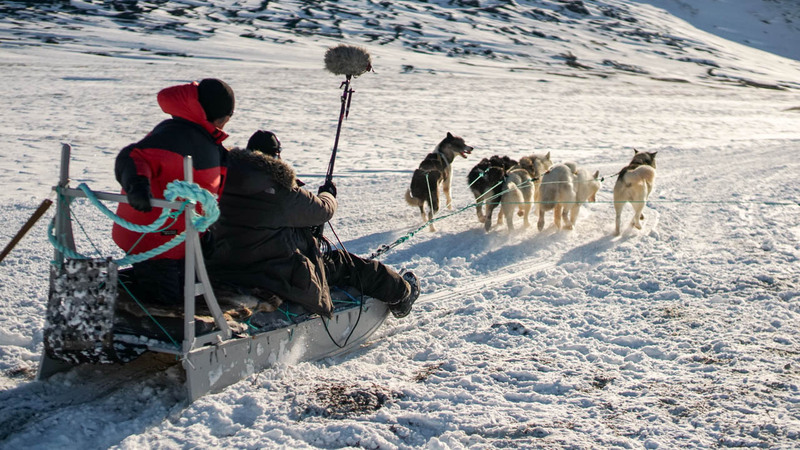 Some professional guys were there with TV broadcast equipment, and I was just like, ‘Hey, that’s exactly what I want to do.’ I quit everything else at that point, and had an eye for just one thing: to be a sound engineer. So I had no job for 6 months. I think I sent about 50 letters to radio stations, TV stations, TV production companies, commercial companies. 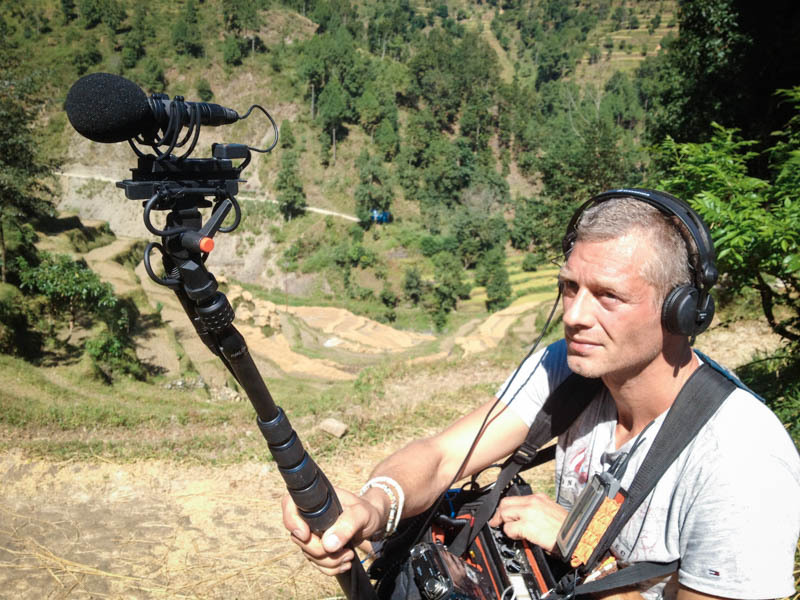 I had lots of experience with microphones, but nobody wanted me because I hadn’t done any location work with boom poles and so on. Shortly after, I got a job with the biggest production company in Denmark at the time, Nordisk Film. 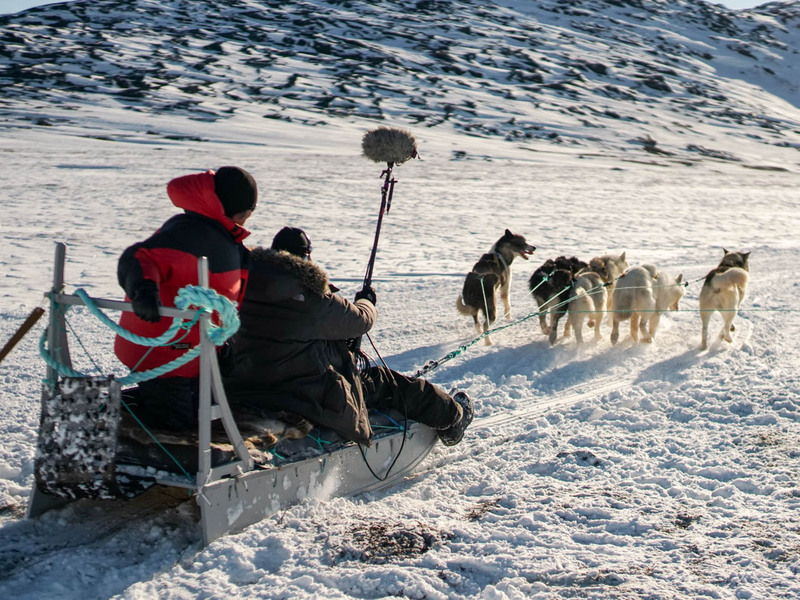 It’s the world’s oldest, continually producing film studio, and I started directly as a sound engineer: so it was really an opportunity for me to jump into it. 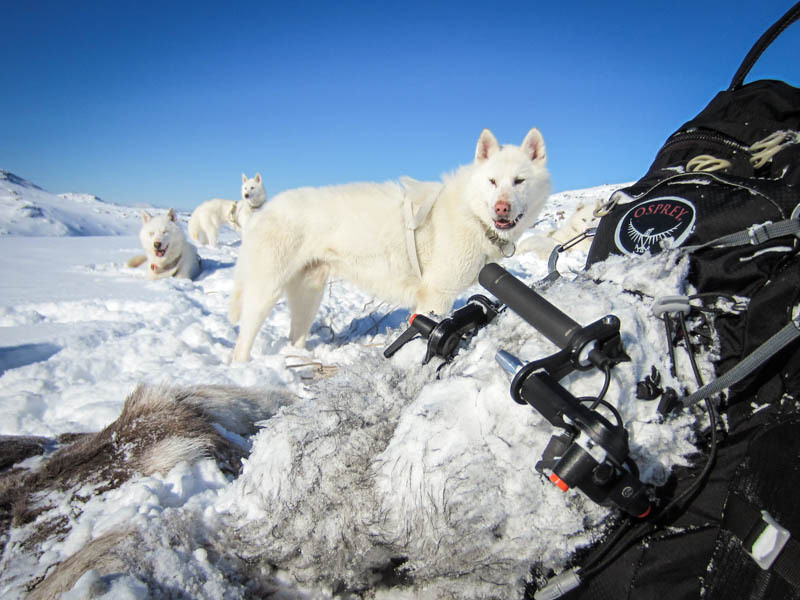 You hear about people getting into the business as a production assistant, runner, gaffer, or photographer assistant, but I started as a sound guy. They just let me jump in. I also did a programme about four girls with Down’s syndrome, showing their day-to-day lives: all the really positive things as well as some of the challenges. That was very rewarding. Are there any productions you’ve worked on recently? Mostly documentaries. I don’t do studio work anymore. Since I started, I think I’ve done about 250 documentaries. Some of them were post-production sound, but I did some light reality programmes such as Spoilt Girls, where five girls travel to Nepal and have to go through a lot of things that they wouldn’t normally have to deal with in their everyday lives. Is there anything that sticks out as an accomplishment? Not necessarily the thing that was most popular or successful, but something you’ve worked on that you are particularly proud of? I think the programme with the girls who have Down’s syndrome. Unlike most of the projects that I’ve worked on, they actually wanted to ask me lots of things. It wasn’t like I was hidden behind my equipment; I’m a real person when I am with them, not ‘the sound guy’. With my equipment, I have one thing in my mind all the time, and that’s ‘keep it simple’. I do not have time to do anything complicated, and if problems arise, I have to sort them out quickly. I need to have a setup where I can do anything within reach of my hands. Do you have a particular approach or ethos to your work? Well, I certainly have to think on my feet. I do that a lot! It has to be right and you have to be adaptable, so the purity and simplicity of things is massively important because you have to make it work quickly. 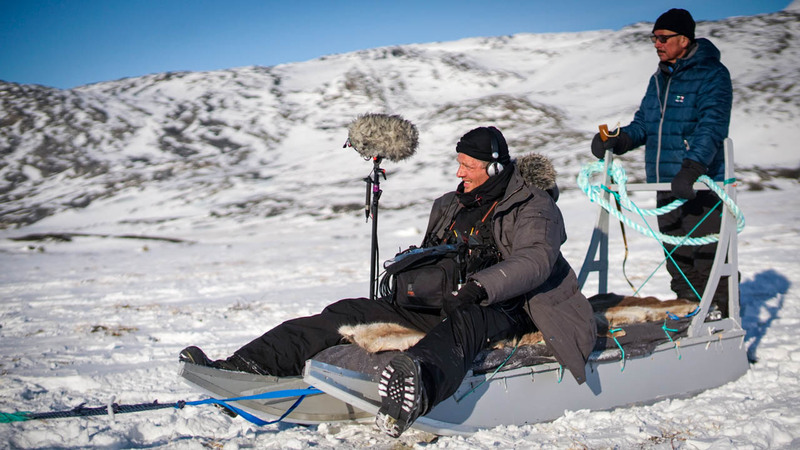 For a documentary about a famous explorer, I went with Sennheiser as part of a completely different setup with my 8060s, and two 8050s in a stereo set. And to do that detail, I needed to be able to switch from the mono to the stereo boom immediately. I built small boxes so I could connect it all with one cable — only one switch — because for that job, I knew that when I’m out there, it would have to be an instant switch. That’s really how I work. If we could talk a little bit more about the kit you use. Could you describe your kit? Normally, I use my WJ 10. 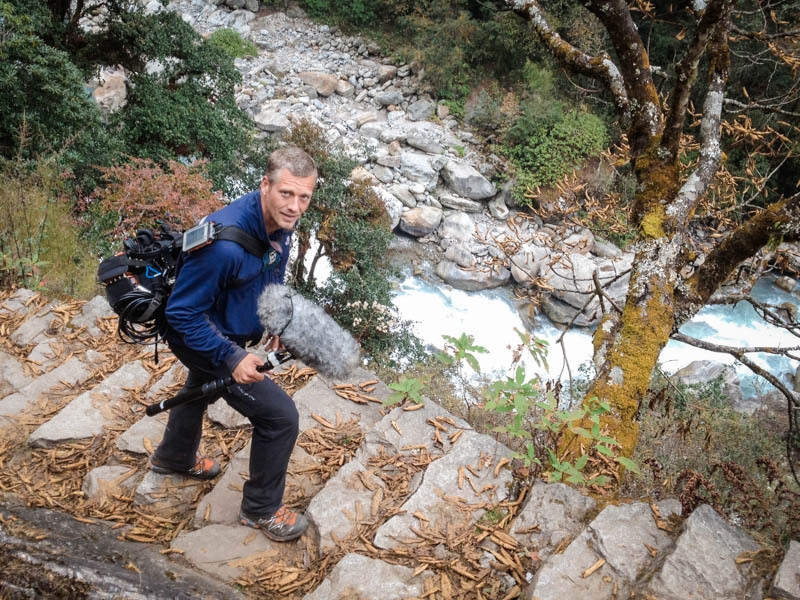 That’s one thing I like really about Rycote: you have different sizes. It really depends on functionality for me. If you go through an apartment under doors and need something smaller, it’s easier to use a smaller solution. I have an MKH 50 in a small-sized Rycote — even smaller than the one I use for the 8060 — and then I have an 8050 in a BBG. Sennheiser made a cable for me, so I could create a modular system and have half of the mic outside; that meant I could reduce windshield size. In terms of boom poles, I have a K-Tek traveller. I mentioned before that I need to have very compact things, so I have a backpack modified with elastic straps so I can travel with a boom pole. I also have a longer pole, but I only bring that when I know I have to use it. For mixers/recorder, I have a Sound Devices 664. Are you familiar with the SQN at all? In the late ‘80s and early ‘90s, it was only a mixer. It was English-made — fabulous — and I had one for a very long time. I waited until the 664 was on the market before I switched. It’s more of a mixer then a recorder, so I can… you know, it’s like more field production; I don’t have a sound cart or anything like that. When you have the feeling you can rely on your equipment, it’s really fantastic. On that note, what does Rycote mean to you, in terms of daily use? 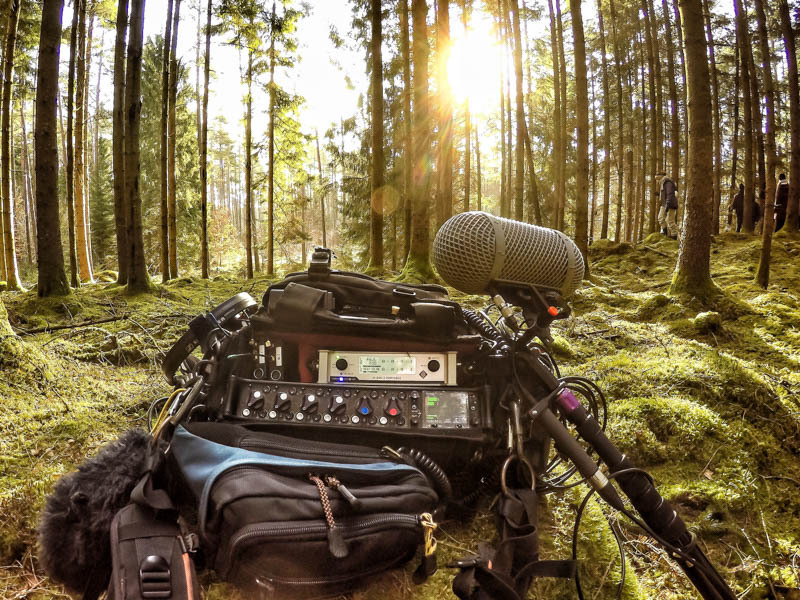 What are your thoughts about Rycote products and the brand? Why are they important to you? Because they’re very durable: I’m not the kind of guy who has special, fabricated flight cases for my Rycotes; I hang them on the back of my backpack, so they really, really get thrown around and I never break one — maybe a handle or something like that — but never the windscreen. They always lock up right and they never fall apart. We climbed in Nepal, and it was 4980 metres high. For three weeks, my Rycotes were either on a boom pole or on the end of my backpack and there were never any problems. 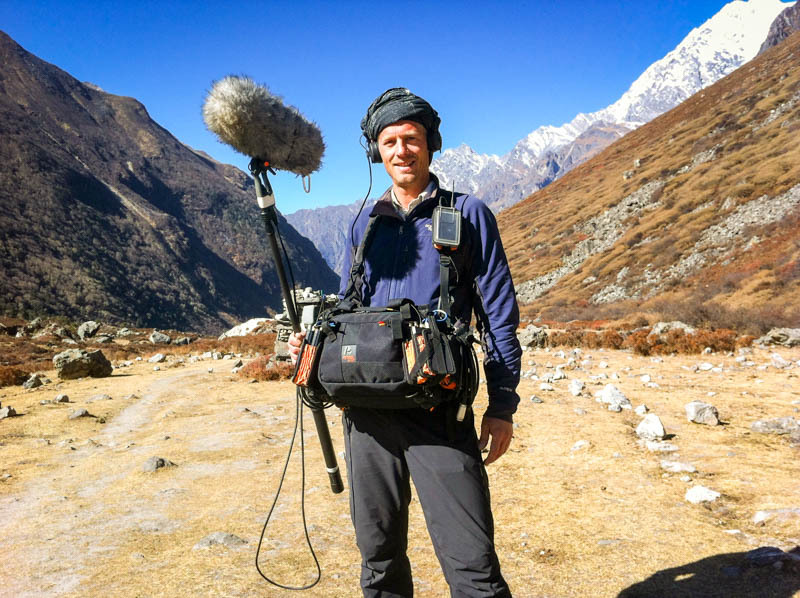 You know, when you travel a lot it’s like… well, we were away for three weeks and I had three microphones all the time and for maybe two or three days I used another microphone, another Rycote, then the 8060. I used the 8060 for a week, and then I picked up my MKH 50 and just put the windshield on and it worked: nothing was loose inside, nothing sounded odd. It was thrown around for a week on top of a mountain or in an aeroplane in humidity, rain, heat, everything, and it worked perfectly. That’s the thing: when I kit up, I know it’s working. It’s like when you’re a doctor, or when you are doing an operation, you have to rely on that scalpel. And, when you pick it up, you have to rely on the fact that it’s working. 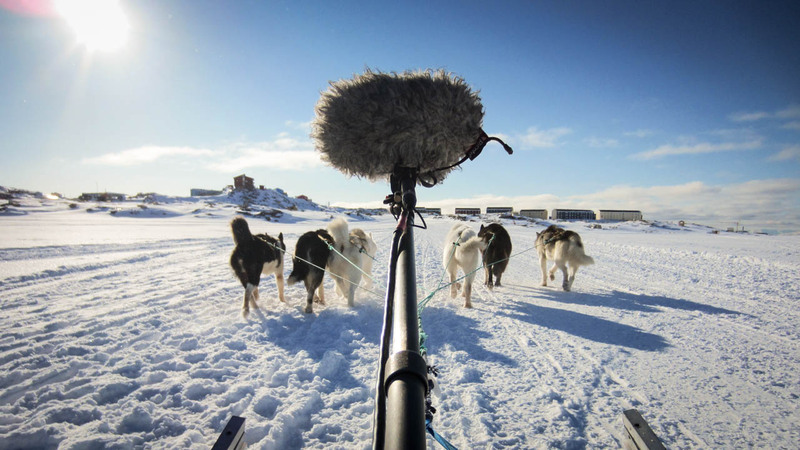 In terms of what you’d like to see in the future from Rycote, what would that be? Is there anything you can think of? Not really: I think I have found the products that suit me best already, so maybe… the Windjammers. I have to buy one every two years or so, but that’s my own fault because they are not protected in any way: I have them hanging there, so they get wet and I’m not treating them well! I just use them a lot and throw them around and then I buy a new Windjammer. So are we talking about something that could maybe protect them? A bag, maybe? Yeah, but that would slow down my work. I’m really happy with them, so I know that I need to have them exposed to be prepared all the time. Also, one thing to remember when you are working in the cold with this equipment: when you have a box and it’s 30˚C, and you tap on it, you can’t hear it too much; when it’s -30˚C and you tap on it, you can really hear it. 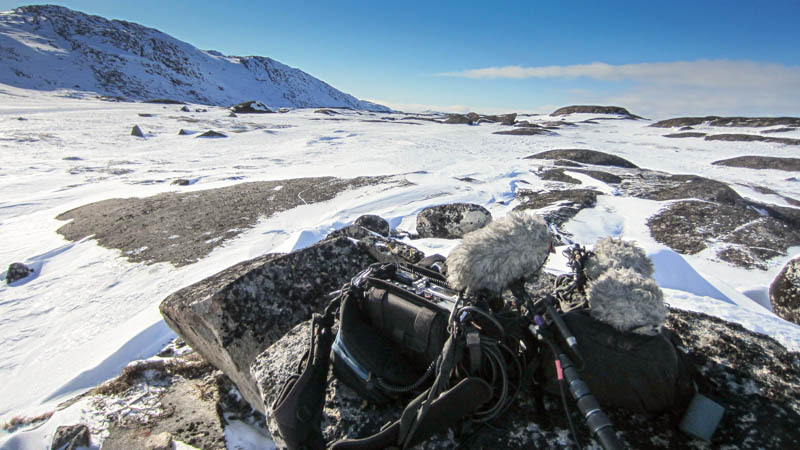 Talking of ‘exposed’ you have recorded in some pretty extreme conditions! Yes, actually! I’ve been to Greenland six times, and it’s gone down to -40˚C. Also, one thing to remember when you are working in the cold with this equipment: when you have a box and it’s 30˚C, and you tap on it, you can’t hear it too much; when it’s -30˚C and you tap on it, you can really hear it. The consistency of the material is getting tighter because of the cold, so when I tap on the boom pole it’s really going to be loud. 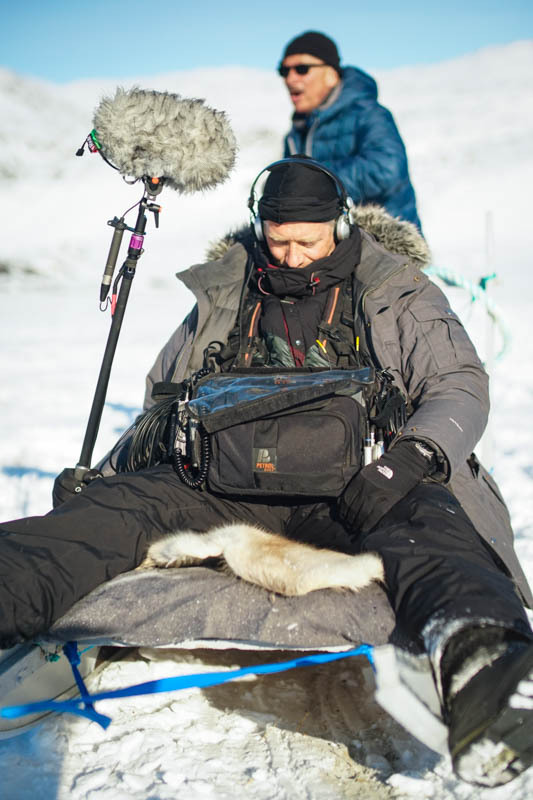 You have to be much more careful with handling noise in the cold, and handle the rig more carefully. Just a simple low-cut can do a lot. Everyone uses the Sennheiser HD-25 headphones and nobody really knows why they are so good: but I know. It’s because they have a small boost in the lower frequencies, so when I hear some of my tapping noise I am aware and then I can deal with it. It’s very useful! Someone came to me and said, ‘Hey, we’ve got some super linear headphones: they don’t boost,’ and I used to think it was useless to me because I couldn’t hear my tapping thing. So how have things changed over the years in your work? I can really feel the difference from 25 years ago. Back then, we did everything by boom. I think we had one set of radio microphones in our car, and we used them when you couldn’t get close at all but today it’s really… there are a lot of microphones going on. Today, you only hire a sound guy if it’s necessary. Do you think that’s been driven by cost and budget? Also, I have my own equipment. When they hire me, the company usually has its own equipment, but when I go there it’s a mess. With my own equipment, I know it’s going to be right, and I can put a lot more energy into the programme itself than when I’m getting stopped by something that doesn’t fit, or cables on the wrong side of the bag, or Rycotes that are too large. I have my own little system that works 120% for me. Thank you very much for your time Thomas, it was a pleasure talking to you.